We are engaged in offering a wide range of TRIAC Devices. The wide range of products offered by us comprises Anatomical & Educational Scientific Instruments. These products are widely used for different analytical purposes in diverse educational and scientific institutions. We take into account the diverse needs of different sectors and offer suitable range of products. Thus, these products are very popular in the international market segments. 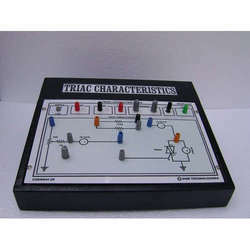 Looking for TRIAC Devices ?